In most cases this is caused by explorer.exe, which is accessing to this file. You can kill explorer.exe via task manager (CTRL+ALT+DELETE). Note: your desktop will go blank. 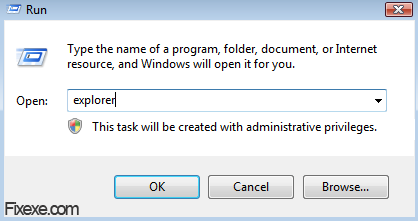 While explorer.exe is not running you can delete your file accessing it via task manager. To run it again, simply press Windows button (keyboard) + R, type explorer.exe and hit enter. 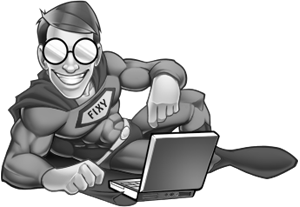 If method described above won’t work probably means that some 3rd party program is using exact .exe file you trying to remove. У меня Windows XP SP2 x32, Java установил, запускаю minecraft v.1.4.3 (самая свежая), а у меня вылазит окно и там написано Could not crteae the java virtual machine ! Не знаю почему, переустанавливал Minecraft, а толку нет! Помогите!!! click start, type in SERVICES.MSC, look for windows defender, in the general tab just click stop. Go and delete your file. Was getting the message “the program is open in Windows Defender”. Easiest way to delete the file is actually to move the file to a different folder (not the desktop) where you can delete it. Seems odd that you can move the file but not delete it, but hey, that’s windows for you. Okay I got the unlocker but how do I use it? I was trying to download maplestory & changed my mind and I got a MSSetup100.exe and I can’t delete it for the life of me! That unlocker tool did its job perfect! Note: I am not a windows user. I am reading this, and what it sounds like to me is that explorer.exe is permanently viewing/running/using the files in the desktop directory. Always. Forever. As long as the explorer.exe is running. So the reason why the exes can’t be deleted is exactly the same reason why I can’t eject a drive while I’m editing a file that’s saved on the drive. Is this bad programming or am I just confused? 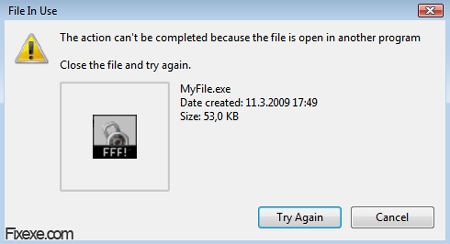 I am glad you described right way to get ride of this file in use message! I am glad you described this method, I finally managed to delete those .exe files from desktop. I didn’t try first method, but I can tell that I managed to delete file in use easily by using this tool.